Happy Easter, guys! Sorry for the hiatus, I’m alive I promise. It’s funny how life takes over sometimes. My last post was in November 2013! Back then, I was working at a tech start up in Chicago. I was wide-eyed and excited to be in a new city, and quickly fell in over my head with things to do, so blogging took a bit of a backseat. For the past 10 months, I have been exploring the Windy City’s food scene (seriously, I was going a little overboard and sometimes trying 2-3 new restaurants a week), taking dance classes and making new friends. Chicago is a wonderful place with tons to do- I am especially going to miss the summer street fests and beaches. Now, a lot has changed, and I’m back in my hometown in Michigan. I’m starting a new job (tomorrow morning actually) in client services for a larger tech company, and I couldn’t be more excited about it. I’m living with my family again, and have been spending some quality time getting re-acclimated with my childhood home. It’s an adjustment from the hustle and bustle of the city, but one big perk is that I get to spend a lot more time with my family and focus more on PITK. The food is better in my childhood home, too. It helps when there are multiple cooks :). This blueberry crisp is from my family’s Easter dinner tonight, and it’s been a favorite in my house for years now. My mom started making this because it doesn’t use too much sugar and it is lighter than a pie. It was originally made with butter instead of coconut oil, but it was easily adapted into a vegan treat. Dessert doesn’t get easier than this, people! Preheat over to 375F. Grease a 9-inch round deep-dish pie pan and set aside. Toss blueberries with the white sugar, cinnamon and 1/4 cup of the flour. Spoon into pie pan. Combine the remaining 1 cup of flour, brown sugar and lemon zest in a large bowl. Add coconut oil and use a pastry cutter to cut into the pastry mixture until it becomes crumbly. Stir in the almonds and lemon juice. Sprinkle the topping evenly over the berries. Bake for about 45 minutes, or until the blueberries bubble and the top is a golden brown color. Cool for 30 minutes, and serve warm with vanilla ice cream. Last weekend, my friends from home came to visit me in Chicago. We had a blast. Every day of their trip, we roamed around the city all day doing touristy things– we saw the Bean, the Signature Lounge, went shopping on Michigan Ave, tried great neighborhood restaurants etc (in particular, we ate at Crisp in Lakeview– best Korean fried chicken I’ve ever had. Has anyone else been?). And then we went out at night too, taking full advantage of the ones that stay open until 4 am. By the time they left on Sunday, I was so exhausted that I lied on the couch all day and watched movies by myself. Then, of course, I got sick. I could barely wake up for work on Monday. When I made it to the office, it took two whole cups of coffee to get my brain to work. I got through the day alright, but Tuesday killed me and I ended up leaving halfway through to buy medicine and work from the comfort of my couch. I was back at work on Thursday, but I clearly still needed to relax and rest up from the weekend before, making this weekend a relaxed one with lots of baking and no bars. My boyfriend, Mike, and I, watched a football game with another friend on Saturday, and rather than drinking and going to the bar, we decided to make it into a feast. We picked up Thai food on the way to our friend’s house, and baked the whole morning before the game. Mike made rice krispy treats (he is the rice krispy expert), and I made these babies. I think I’ll be using coconut oil in all of my cookies from now on… I discovered recently that when at room temperature, coconut oil can be creamed with sugar just like butter! 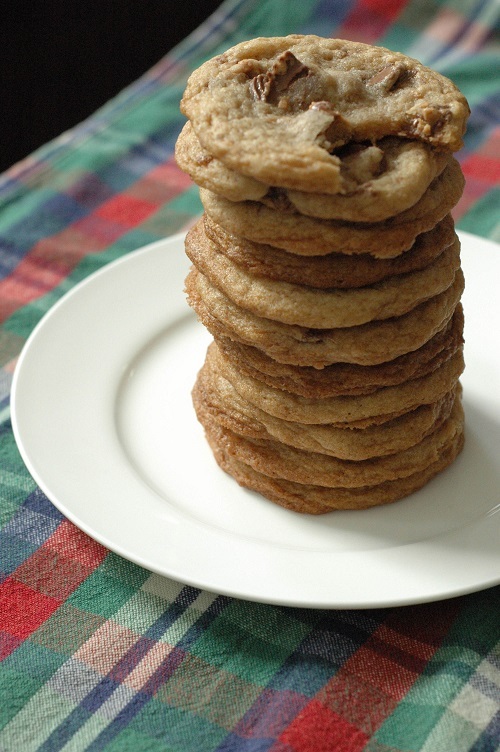 So while the cookies may spread a little wider, achieving a chewy, fluffy cookie is totally possible. The chunks of Reese’s is really what sends these cookies over the edge. I recommend refrigerating or even freezing the chopped candy beforehand so it doesn’t crumble into little pieces when you stir it into the batter, and do not even THINK about replacing them with Reese’s Pieces. Those are not as good. You’ve been warned. When ready to bake, preheat oven to 350F. When at the correct temperature, place cookie sheet in oven and bake for 9-12 minutes, or until the edges of the cookies are slightly browned and the centers are soft. Enjoy! Eek it’s been 3 months since I’ve been on here! My transition into real-personhood has been pretty smooth, but blogging definitely takes a backseat to busy work life. Since I usually take pics of my food in natural light, it’s been difficult to catch you know, “good sun” around a 9-5 work schedule (and more obviously, finding time to even cook/bake). Since my guacamole post, I’ve moved to a new apartment in a different neighborhood of Chicago and I’ve been working a real job for almost 6 months now. FINALLY, I’m starting to feel a little more relaxed , but stress from the past few months left me feeling like a chicken running around without its head. I don’t really know how to describe what I’ve been doing since I’ve moved, but I can say it’s all been a humbling experience! I’ve been learning about super fun stuff like building credit, finding a dentist and making new friends. (All of these things are still in progress…). Line cookie sheets with parchment paper, but do not preheat oven yet (dough requires chilling). Mix dry ingredients in a medium-sized bowl and set aside. Cream butter and sugars together until fluffy and pale in color. Add egg and vanilla and beat until combined. With the mixer running on low, slowly add in dry ingredients. Dough should become stiff, but not crumbly. Do not overmix. Stir in white chocolate chips and dried fruit (I opted for cherries, I’m sure dried blueberries would work well too). Last time I made this recipe, I realized I had about four cups of guacamole to eat before it spoiled… so I offered some to my roommate. She is great about sharing things with me, so I told her something along the lines of “I made some fresh guacamole, I have soooo much and there is no way I can finish it by myself, help yourself to as much as you want!” Friendly, right? Well, my boyfriend happened to be over at that same time and was listening to the whole exchange. He told me later (with this horribly righteous smirk on his face, of course) that all he could think while I was talking to my roommate was that he has SEEN me eat guacamole and knows for fact that I could finish it by myself just fine. I think he might have used the phrase “you can put it DOWN.” Hmph. Slightly embarrassing, yes… but my boyfriend is right and ever since he made that comment I have been noticing that whenever I make guacamole, I find a way to put it on EVERYTHING. I love the stuff. I incorporated it into my breakfasts recently by making egg, turkey and guacamole sandwiches on Morning Rounds (Costco, anyone?). 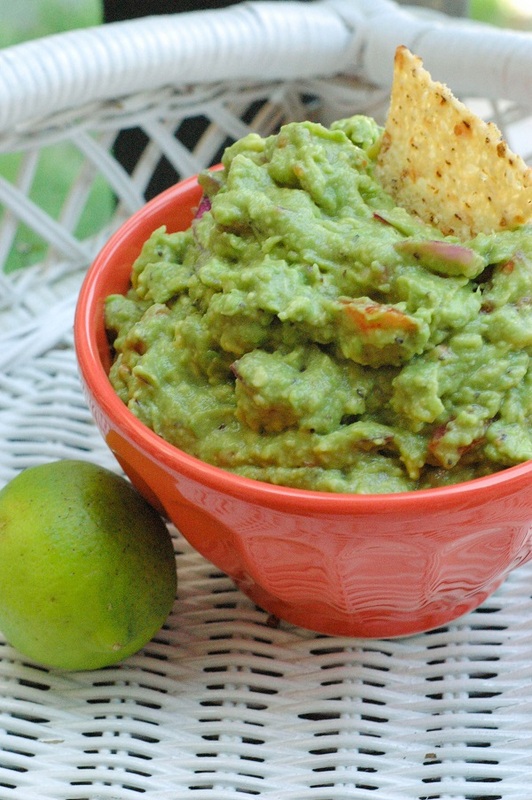 Chips and guac is an obvious one, but I put it on salads, dip vegetables in it… eat it with a spoon… everything! I didn’t make this recipe from scratch, I sort of combined recipes from Ina Garten and Alton Brown by just taking the parts I like from each. Cumin, which is one of two secrets of great guacamole, comes from Alton, and fresh lemon juice, which is the other secret, comes from Ina. 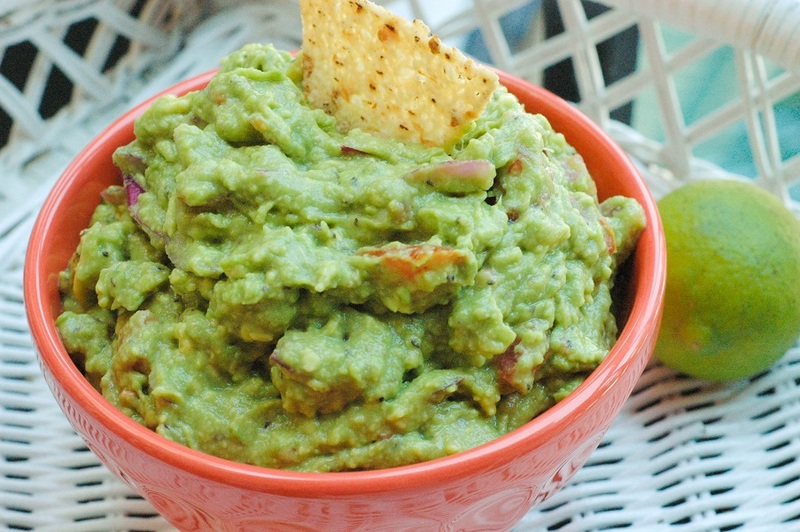 Once you make this you will forever be unimpressed with the guac you get at restaurants, enjoy! Isn’t cilantro the best? I’m a total cilantro fiend. The $0.69 per bunch herb has some crazy health benefits, and it also adds a delightful little kick of flavor to everything from tacos to guacamole to pasta to chili. I recently even tried it in sushi (drool…)! To my surprise, I read an article a while ago that said some people actually have a gene that makes cilantro taste plastic-y to them. As in, they don’t like it because it tastes like chemicals– or something along those lines. Crazy, right? This recipe definitely isn’t for those people (I am not entirely sure they exist though, I’ll have to meet one to believe it). You can ignore this post if you don’t care for the magical little parsley-imposter… but for everyone else who loves cilantro like me, you should try this one ASAP! Today, I consider this to be one of my staple recipes, and while these pictures show my meal with pasta and broiled steak, I think grilled chicken or shrimp would pair nicely with this sauce as well. In a food processor, combine everything except for the soy sauce. Pulse until a coarse paste forms. Season with soy sauce and pulse to combine. 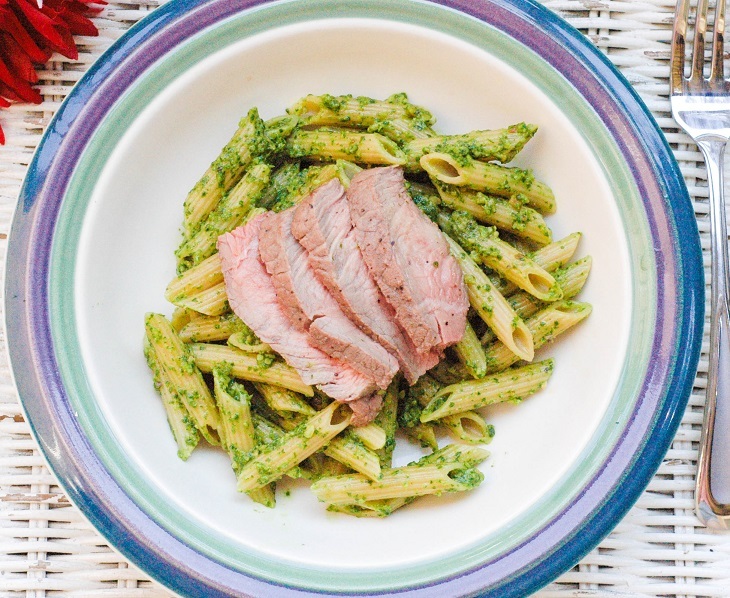 In a large bowl, toss pesto with hot pasta (though, if you are serving later, I would wait to mix the pasta and pesto until right before your meal. This results in a more intense flavor!). Roughly chop additional peanuts and sprinkle over pasta along with extra cilantro leaves and lime wedges if desired. Serve immediately. Hai. Here is an update on my life. I graduated from undergrad two weeks ago! I am so relieved to be done. The constant worry of completing problem sets and writing essays on the weekends was starting to wear me down once the weather started to get nice this year. Senioritis, anyone? I’ll be moving to Chicago in a few weeks to start a new chapter of my life. I can’t wait. Who knows what sort of new recipe ideas will find me there :). Anyway, if you are looking for a spiced-up version of your usual brownie recipe, try out these cheesecake-swirled brownies! They are sweet, chocolate-y and surprisingly easy to make. Yummmm…. Put oven rack in middle position and preheat oven to 350F. Grease an 8×8 baking pan. Heat butter and chocolate in a saucepan over moderately low heat, whisking occasionally, just until melted. Remove from heat and whisk in sugar, eggs, vanilla, and a pinch of salt until well combined. Whisk in flour until just combined and spread in baking pan. Using an electric together cheesecake batter ingredients in a small bowl until smooth. 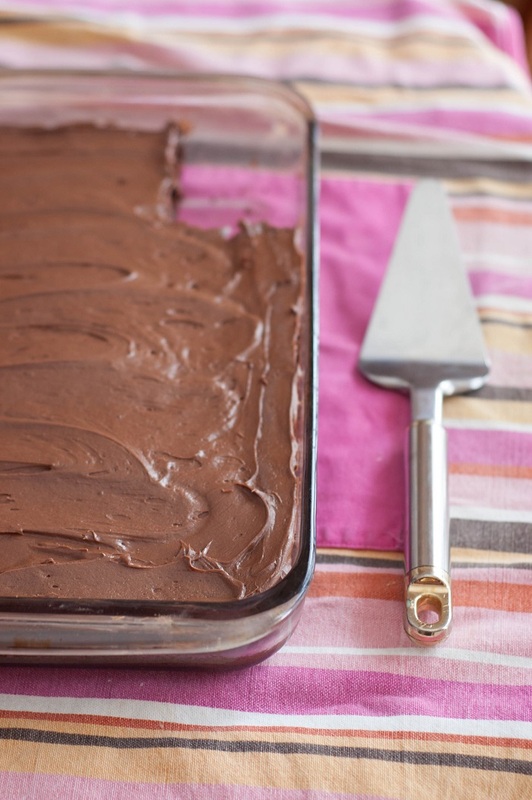 Dollop over brownie batter, then swirl in with a butter knife or spatula. 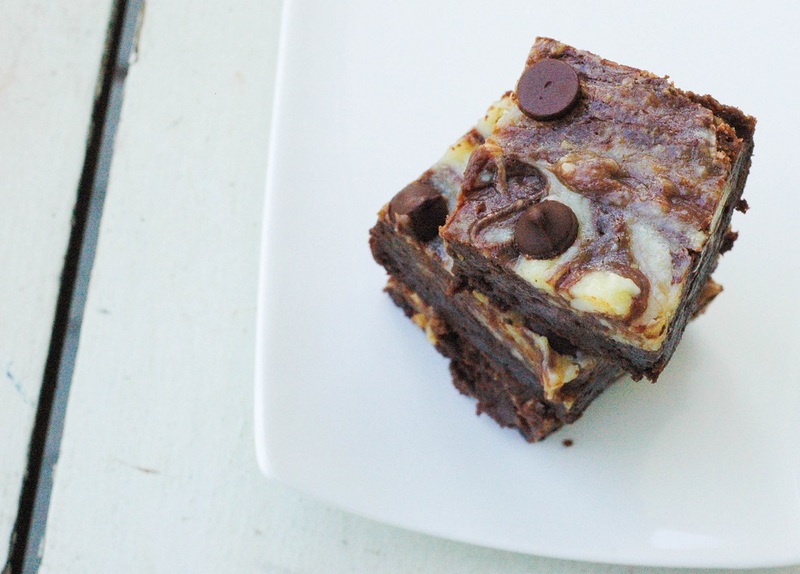 If using chocolate chips, sprinkle over the top of the cheesecake marbled brownie batter. Don’t use too much, or this will take away from the pretty swirl effect! Bake for 35 minutes, or until edges are puffy and center is set. 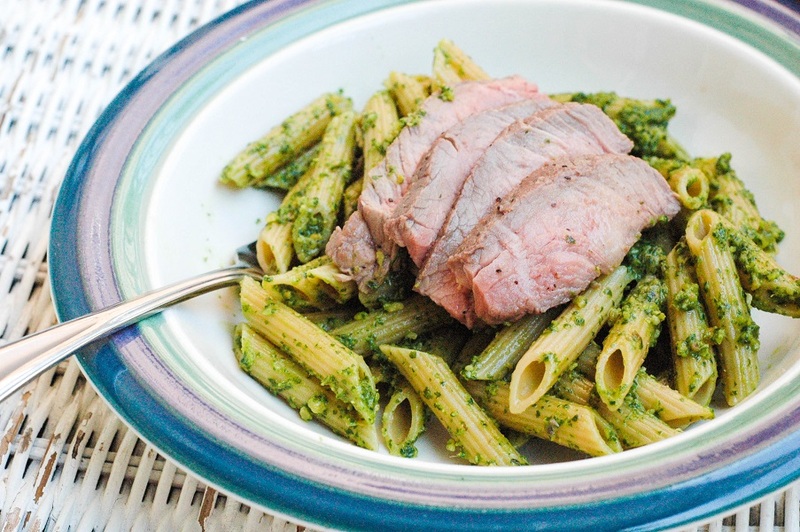 Serve warm or at room temperature, maybe even with scoop of vanilla ice cream :). Life has been busy lately! I am wrapping up my last semester of undergrad and have been up to my eyeballs with tests and papers. I have one more day of class, then finals, and then graduation! I’m SO EXCITED (and pretty scared). I finally had a free day (and some grossly brown bananas to get rid of) so I whipped up these babies. My best friend said that these might be one of her favorite recipes. 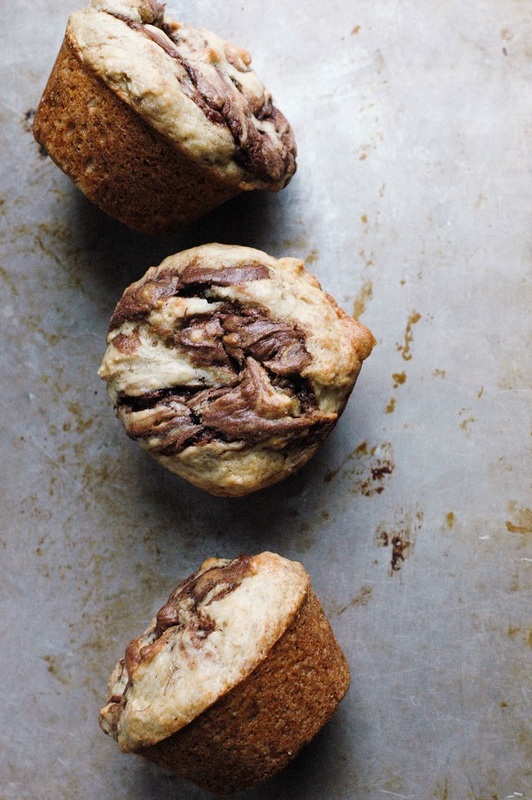 Banana bread+Nutella… I mean, how do can you go wrong? Preheat oven to 350F. Prepare a muffin tin with liners and set aside. Combine the flour, baking powder, baking soda and salt in a medium sized bowl. Whisk to combine ingredients well. In a separate bowl, combine the mashed banana, sugar, brown sugar, egg, canola oil and vanilla extract. Slowly pour the dry ingredients into the wet ingredients whisking until there are no lumps. Do not over mix (batter will be very thick at this point). Use a spoon to fill muffin tins 3/4 full. 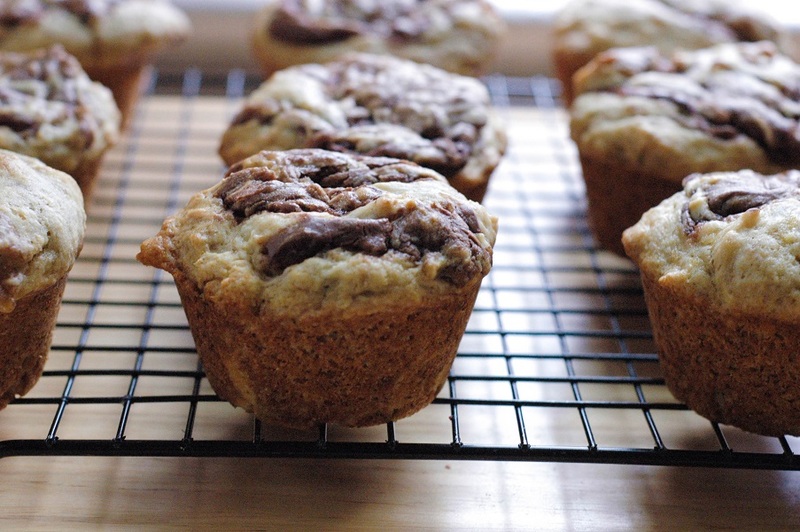 Top each muffin with a teaspoon of Nutella. 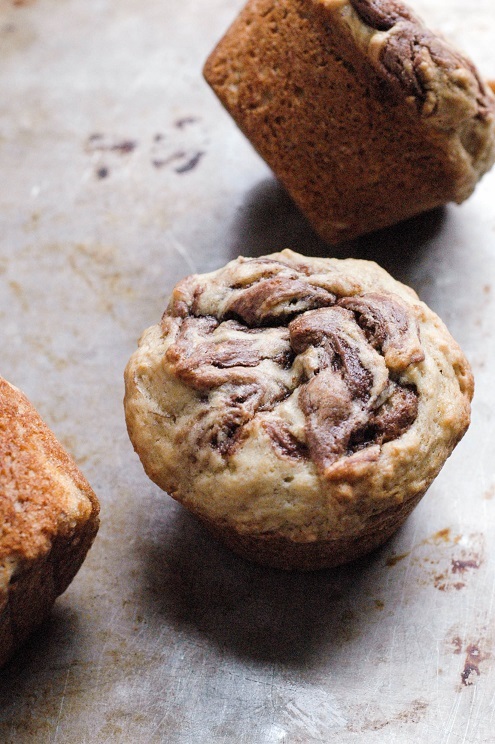 Using a toothpick, swirl the Nutella into the muffin batter. Bake muffins for 17 minutes, or until a toothpick inserted in the middle comes out clean and/or with dry crumbs. Quick breads are the best. You can throw all the ingredients together in one or two bowls, pour everything into a pan and leave it in the oven for an hour. There is no annoying whipping of egg whites, chopping of fruit, boiling of sugar or spooning batter into little cups. So easy! And this recipe makes TWO loaves. So more for sharing. Nom. 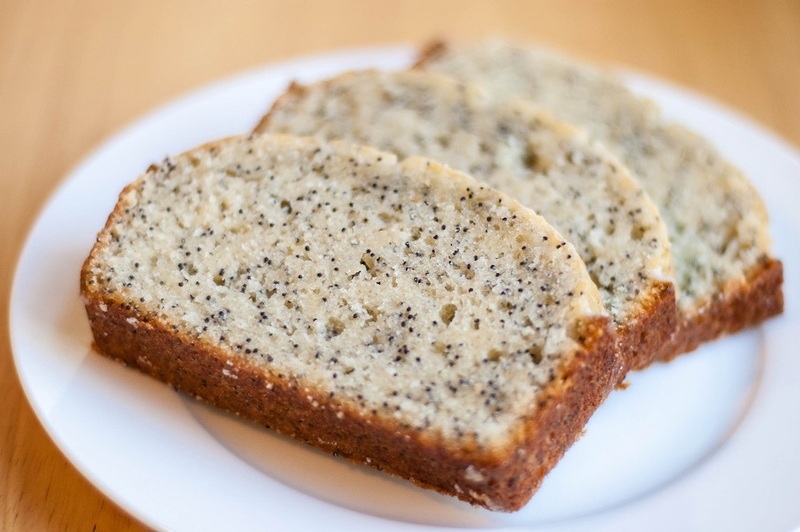 I was really excited about this recipe because the only way I’ve ever eaten poppy seeds is in lemon poppy seed muffins. After this recipe, almond is my new favorite flavor. Everyone who has tried it has had the same reaction: “OMG. Yum. 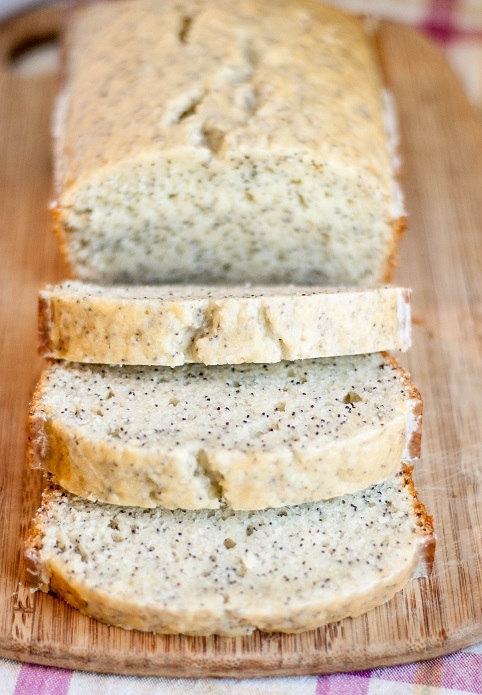 Can I have another slice?” I made this bread yesterday and one of the loaves is already gone… so if you are in a pinch and really want to impress your family with treat for Easter, make this! Preheat the oven to 350F. Spray two 9×5-inch loaf pans with cooking spray. 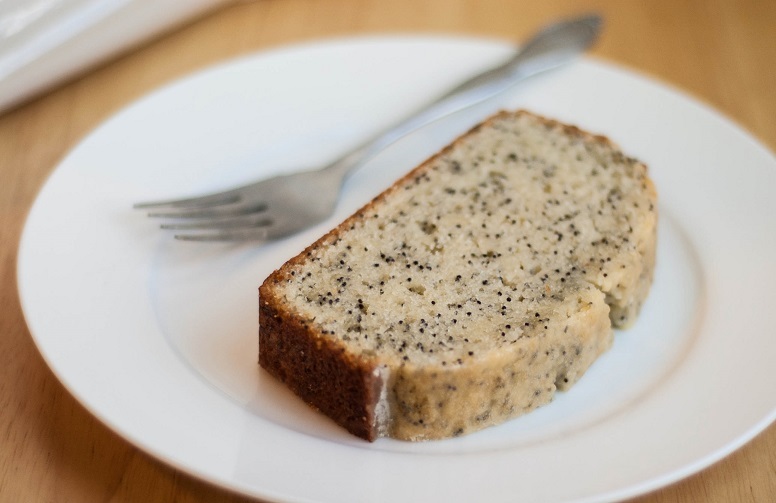 In a large mixing bowl, whisk flour, salt, baking powder, sugar, and poppy seeds. Set aside. In another large mixing bowl, whisk the oil, eggs, milk, and extracts until combined. When the breads are finished in the oven, make the glaze: In a large bowl, whisk together the confectioners’ sugar and both juices until smooth and runny. Add the liquid slowly so the glaze doesn’t become too runny. Run a butter knife along the edges of each pan, then invert the pans and remove the still-warm loaves. Place the loaves, right side up, onto serving plates and drizzle each one with the glaze. Cool completely before slicing. It was the name of these brownies is what caught my eye. Coconut milk? My lactose intolerant dream ingredient. It’s the rich, decadent, magical little fix that makes everything creamy again! As it turned out, these still contain two entire sticks of butter in addition to the coconut milk, but there’s nothing a Lactaid pill can’t fix, right? Right (hopefully). So I tried them. 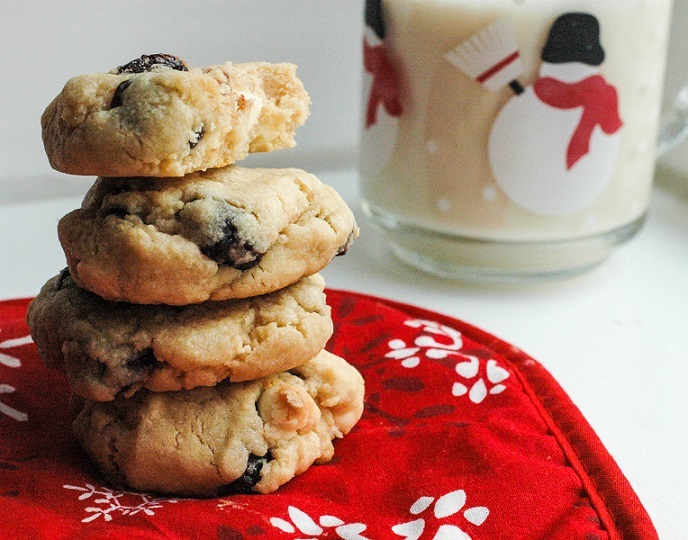 These babies really do pack in the calories– coconut milk, butter, and entire bag of semi-sweet chocolate chips? But more calories can only mean one thing, MORE FLAVOR! 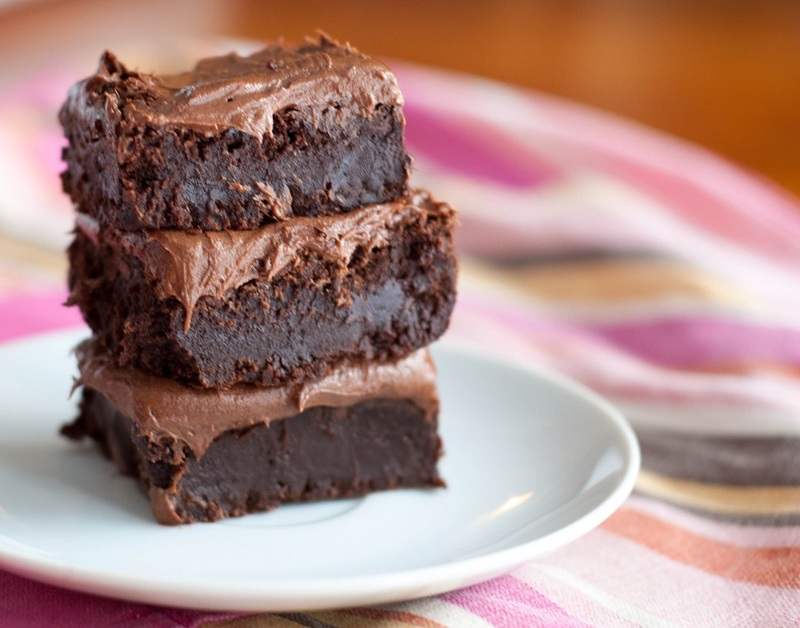 Once again, my housemates approve, and I am happy to present to you, another dense, fudgy, and delicious brownie recipe. Preheat the oven to 350 degrees. Butter a 9×13 baking dish. In small saucepan over low heat, melt butter completely. Stir in sugar and continue cooking for 1-2 minutes, stirring constantly. Do not allow sugar mixture to boil. Add the chocolate chips and stir until melted. Pour butter mixture into a large bowl or stand mixer and beat in coconut milk, eggs, and vanilla extract. In a separate bowl, combine the cocoa powder, salt, baking powder, and flour. Gradually add to the wet mixture and mix until well combined. Pour into prepared pan. Bake for about 35-45 minutes, until a tester comes out mostly clean. Let cool on a wire rack until completely cool. While the brownies are baking, make the frosting by whipping the butter until lighter in color. Add the vanilla and coconut milk and beat until combined. Slowly add the cocoa powder and mix until combined. Add the powdered sugar 1/2 cup at a time until frosting has reached desired consistency. Spread over brownies once completely cooled. 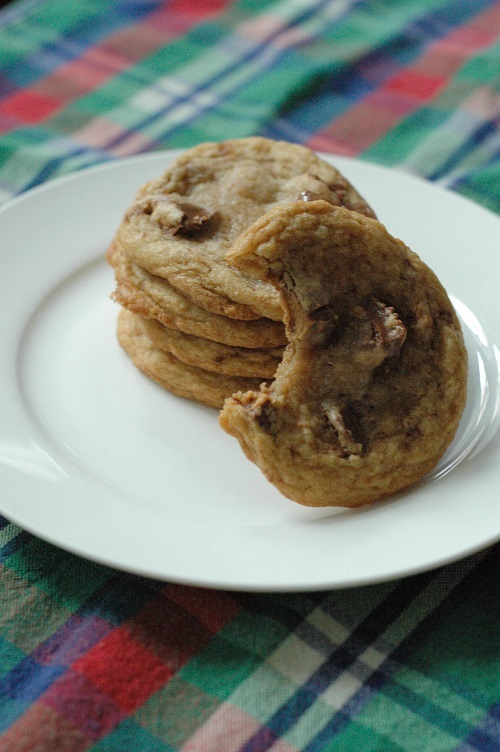 These are best eaten straight from the oven– they’re chewy, gooey and really sweet, just how I like my cookies! I had a little bit of trouble with the dough— it was super dry and crumbly so next time I think I will reduce the flour and increase the oil a bit. Just a tip! To the bowl of a stand mixer fitted with the paddle attachment, combine coconut oil, egg, sugars, vanilla, and beat on medium-high speed to cream until light and fluffy, 4 to 5 minutes. Note – Coconut oil should be the consistency of soft butter like you’d use to cream with sugar and eggs in traditional cookies. If coconut oil is rock hard, microwave it in a small bowl for 5 to 10 seconds or just until it begins to soften. If coconut oil is runny or melted, place it in the freezer momentarily until it firms up. A tiny amount of runniness is fine; it’s an oil and that happens. But do not use melted or purely liquid coconut oil because you can’t effectively cream a liquid; it would be like trying to cream liquid butter. Stop, scrape down the sides of the bowl, and add the flours, baking soda, salt, and mix until just combined, about 1 minute. Add the white chocolate and beat momentarily to incorporate or fold in by hand. Divide dough into approximately 15 equal-sized pieces. Place dough mounds on a large plate, and slightly flatten each mound. Very important to get the dough mounds in the exact shape you want to bake them in because after chilling, flattening or re-shaping them is very difficult. Cover with plastic wrap, and refrigerate for at least 2 hours; up to 5 days. Do not bake these cookies with dough that has not been properly chilled because they will spread. Preheat oven to 350°F, line or grease a baking sheet. Place dough on baking sheet, spaced at least 2 inches apart; I bake a maximum of 8 per sheet. Bake for 9 to 11 minutes, or until tops have just set, even if slightly undercooked and glossy in the center. They firm up as they cool and I recommend the lower end of the baking range because they taste best when softer and paler. 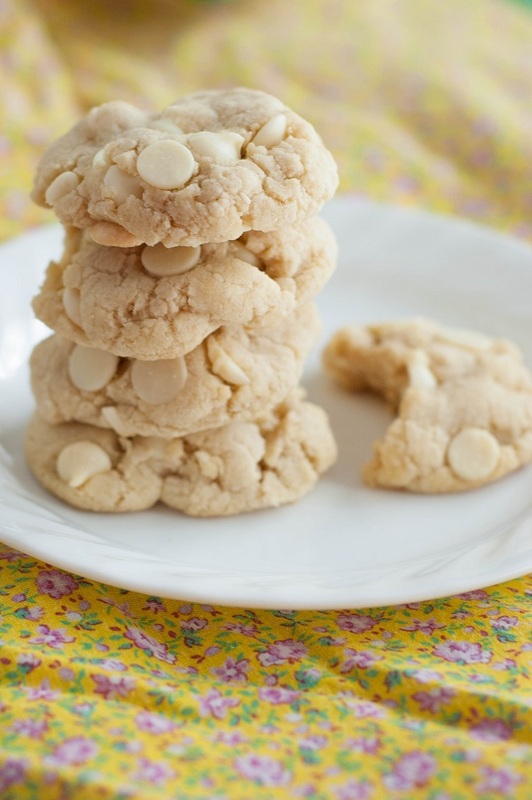 Allow cookies to cool on the baking sheet for 5 to 10 minutes before moving. Store cookies in an airtight container at room temperature for up to 5 days, or in the freezer for up to 3 months. Alternatively, unbaked dough can be stored in an airtight container in the refrigerator for up to 5 days, or in the freezer for up to 3 months, so consider baking only as many cookies as desired and save the remaining dough to be baked in the future when desired.